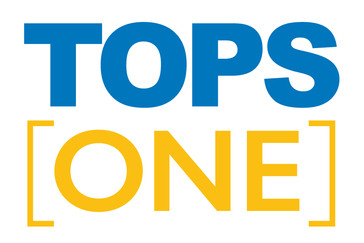 Schedule your custom demonstration of TOPS [ONE] today! "My experience with Tops One"
Tops one is a truly excellent association accounting software. As a CPA, it is very important that the software I use is going to generate accurate and correct accounting reports. This program does just that. It is also very well suited for association management companies because of its capacity to connect the different departments through the program itself. It;s ability to be accessed when 'on-the-go" makes is very valuable. You can connect with it on your phone or laptop when not in the office. There is one feature that it still does not have. The program does not allow me to automatically download from the bank the ach debit deposit that is done for those units that pay through direct debit. So, when I process the monthly ach debit deposit into the association account, I have to then enter manually this deposit. All of my accounting and financial management needs, including the correspondence with owners. "Still a work in progress"
-There is no way to print labels just for tenants, only owners, so we've had to create separate lists in other programs (excel) to do this which is sort of not the point of having one database to do everything for you. Make sure you know that all vendors will be global and that you will need to do some clean up and re-coding if you use a third party system for your invoice and payment processing. Only owner balances will come forward and if you bring over the legacy history, the running balance will be all zeros. To be fair, there is a lot of functionality in TOPS [ONE] that we aren't using either because we aren't ready to implement those modules or they don't fit with how we do business. There was a lot of trial and error we had to do in the sample community to get the owner access module to work. For instance if an owner has already been invited but hasn't registered and you change their email address and you resend the invite, it still doesn't work. Only works for uninvited owners. Once we get the owner access portal dialed in it will solve a lot of problems for us. Danyelle, thank you for your honest review. We are always striving to improve our products and services, and we appreciate you acknowledging that. I have submitted your feedback to our product team for future improvements. "Love TOPS[ONE] for Property Management"
I really like that all the communities can be accessed through one login. I also love the template library and how easy it is to customize templates to be used throughout all communities. The accounting portion of the software needs some improvement. I wish that terms could be entered in the Vendor file for automatic calculation of due dates. Also the date input for all the accounting functions is not user friendly because you either have to click through a calendar, or when using the keyboard you have to enter the date with slashes - 01/01/2018. If the current year defaulted and you could enter 0101 and be done entering that would make data entry quicker. The report module - haven't figured out how to customize the reports and can't find help on how to do that. Lastly, the support department is very hard to get ahold of, especially when you are stuck in the middle of something. Request training on how to set up the modules and ask for examples of how other companies in your industry are using the various modules like CCR, Work Orders, and Collections. Having all communities available and having a global search improves our customer service response and is easier to look up owners accounts when they are on the phone. Cutting down on the time spent on monthly processing due to being able to set up the various assessments within a community so they generate charges through one process. Michelle, thanks so much for your honest review! I am so glad to hear that TOPS [ONE] is saving you time on processing assessments and searching for data! These are two of the things we really focused on when creating the product. More good news, some of the features you mention that you would like to see are already on our feature request list, so keep an eye on this space (https://www.topssoft.com/blog-home/topic/program-updates)for that update! Shared place to record communication with residents so office staff can easily see what another employee discussed with a resident. Ease of posting maintenance fees and tracking delinquencies. Great resource for recording consistent enforcement. Some glitches, but reps are very responsive to help. Upgrades sometimes change how a screen looks or functions. A bit of a learning curve at times, but not bad. It is a very comprehensive program. Be prepared to transition and train prior to going "LIVE". A transition plan is imperative to minimize impact to operations. Lag time for financial reporting. Tracking employee performance (maintenance & violations in particular). Cloud storage and records in one place. Real time reports, employee KPIs, and ease of access to records. I like that Tops is so user friendly. I came in to my current company with experience in a very different software and it took me no time to learn how to operate the site efficiently. The only thing I dislike is that the site is internet based. When we have outages in the office we lose access to homeowner records, but we are working on our putting in some internet backups in our office to prevent this issue. Overall, I don't dislike anything about tops! Tops has been a great tool to allow users to pay online and has been so easy for our office staff to use! We are solving accounting issues in a timely manner and mending relationships with homeowners that other management companies had damaged. We have realized the benefits of online payments. Residents find it so much easier to log on and make their payment than to have to go through the trouble of mailing a check or money order. Tops is very user friendly and easy to use. The first tops product we used was Tops Pro then we switched to Tops One once it was available. Even though there have been some issues with Tops One (nothing to major) the support team has been amazing to get the issue resolved and up and running correctly in a timely fashion. There are a lot of issues that still need to be worked out. Last month we launched the owner access portal to our members. A few weeks ago we started getting calls that people were not able to access it. I contacted Tops and they said this is a known issue. 2 weeks later this is still an open ticket. Another major issue we have is that we have many homeowners that own more then one parcel. Currently these members have to receive a separate statement for all their accounts. Since are their accounts have the same contact information they are not able to use the owner access portal unless they provide a different email for each account. Be patient. This is still a newer product and like all new product has its moments. We have been able to solve a lot of accounting problems with customers account. The main benefit we have realized is that it is very user friendly. The best feature I found with upgrading to TOPS One is the ease of entering bills into Accounts Payable. Searching for vendors is a snap and the default distribution function is a definite time saver! The one feature I would like to have available again is the ability to access residents not only by name or property address but also by account number. We are very pleased that our system enhancement requests to the Support Department are always considered and implemented so keep in mind that TOPS can modify their software to fit any companies needs. Having standard reports available at my fingertips is extremely helpful. The ability to pull daily reports of residents with outstanding balances is key for swift follow up and collections. "TOPS[ONE] is a great product"
It's easy to use and learn. Homeowners can log into their accounts, reducing call time at the office. Managers can work from anywhere. Customer support is some of the best I have ever experienced. The transition from Pro to ONE had some bumps, but we got support through the entire process and we were never left with unanswered questions. Management is extremely responsive. There is some functionality that I had in an earlier version that isn't available in ONE yet. TOPS says those are coming, but it has slowed us down in a few areas. One of the biggest issues we have is caller volume at the office. Now that homeowners can log in to their own accounts and see their activity, our staff is freed up considerably. We now can focus more on building community. The ability to mass-email is great and all the record keeping is perfect for peace of mind. The 'google like search' is fast and efficient. Customer service can take up to 24 hours to respond back to you. While that is a good response time, with certain issues or concerns that an immediate response is sometimes required. From a property management the software provides stream less workflow and increased efficiency within the office. "TOPS Software is the only software to use"
I enjoy that I can access tops one from any location or device it makes searching for records and information so easy. How Accounts payable checks are generated. you print the check then have to look for the check then open it and then print it if you some how miss a check the system still says printed. Also not having the ability to print checks globally for multiple communities. I needs this! "Simply the best in association management software!" I love that it is cloud based and very user friendly. I'm looking forward to them fleshing out some of the features and better integrating some of the partners. TOPS has bent over backwards to help whenever possible! They have been amazing! Having one platform for all of my association management needs is imperative! It's user friendly and I can grant Board members and other necessary vendors access to the data in ways that I can manage! Thank you for your kind words Kathy! "It's been a mixed bag of good and bad trying to use TOPS." Once learned, it is fairly easy to use as far as looking up residents, adding charges to their accounts, etc. Once all the data entry is done, hopefully it should be easier to pull up reports. We had to create new sections for marina. It's working out OK, but not great. It will be a continuing work in progress as we try to work out the bugs. Check out all aspects of TOPS to make sure it meets most of your requirements, anything lacking can be added. Once we get the bugs worked out, hopefully we will solve the issue of residents being able to see what charges and fees are on their account. Thanks for taking the time to give us an honest review! I am glad to hear that you are finding it easy to work in the TOPS ONE system. "Software has improved alot since it first launched. " Cloud based & availalble on the go is the best! The inability to actually call someone is frustrating. I have part time employees that need answers when they are here, NOT when 3 days later when nobody is in the office. There are SOOO many features that I wish i could have formal training on. We still don't know how to use or setup these features. Manny, thank you so much for your honest review. We couldn't agree more that TOPS [ONE] is getting better by the day, and we are glad you noticed! 1) Unit Owner access to view history, make payments, and see attached documents. 1) The system is slow to use, wated time to go between fields. 2) Still waiting for the ACH to work. 3) There is no AP batch check run register. The check register the system has is date sensitive, if there is more than one check run a day all the check runs show on the register. We have used Tops one for over a month, we are still transitioning and figuring things out. It is slower than the prior software, which frustrates the user. But the online access of unit owner, board members, and employees is great. The easy access of board and unit members. The software itself is a great product and the support staff is probably the best I have dealt with and I have dealt with several software companies. Terri Perez hands down a professional. Anytime you purchase a new software there are going to be bumps no matter what software you purchase, the key is how the company reacts to those bumps and takes care of the bumps is the key and TOPS by far handles the bumps fast. TOPS ONE allows for web based software which allows a companies staff to work remotely, have the ability to train Owners to log in to check their accounts reducing call volume etc. David, wow! Thank you so much for this great review. We really appreciate you being a loyal customer and helping to share the word about us. We’re here for you anytime. "TOPS One Saved Money & Time - Very Efficient System"
Having all resident and accounting information in one place. Love being able to pull reports in real time. Start up is difficult and very time consuming. More consultation and assistance with preparing for set up would be very beneficial. Should be ready to dedicate extra hours to the initial set up. Will pay off in the end by reducing costs and making operations more efficient. Great for tracking budget and employee performance. Creating a centralized place for our records solved the problem of having many spreadsheets and documents in several different places. We anticipate a savings of $5-8k in accounting services in the next year. I enjoy the Global feature and ease of jumping from property to property. There is a long lag time when pulling reports thereby slowing down production. Not sure if its a problem solver but I like that we can store community files on the system. I do believe that needs to improve significantly for added value to the end user, currently it's a little sloppy. I am solving the issue of not having to send as many letters for communities with multiple violations. "TOPS has been helpful in providing help during emergencies." The support has not been as timely as we wish. However, when we receive the support it is direct and to the point. The customer support reps are good at what they do and meet the needs of our company. The amount of time it takes sometimes to hear from a support representative. I would recommend TOPS to property managers to assist with their community association management needs. TOPS is easy to use and produces excellent results. TOPS One is helping our franchisee's meet their needs. They are versatile and are able to utilize various partners in community association management. Thanks so much for sharing your feedback on TOPS [ONE]. We are happy to hear that it is meeting your organization's needs and helping drive your success! It's particularly great that TOPS ONE has been there for you in emergency situations, since it's then that it matters the most! The program is simply great all around. Great for tracking multiple accounts. Thanks Frank! We appreciate you! "Good To Use For New Users"
Tops One makes it easier for me to create and keep track of violations. It is always hard to adjust to a new system. Tops One doesn't make the transition the easiest, but they do offer more support in adjustment than their previous system. Tops One makes following up on Violations a lot easier, this is the biggest benefit. Thank you for submitting your honest feedback, We're glad to hear that TOPS ONE is making your violation management easier. Property management, work orders, service requests, etc. The work order system is great! Thank you for your honest review. We are always working to improve the product, and feedback from our clients is very important to us. "The initial implemantation has been a troubling dissappointment." Access to homeowner information & work order system. Cannot get letter templates nor billing statements created and installed properly. The TOPS staff does not have the answers either and their response is. "You'll just have to figure it out" In many instances you can tell that TOPS knows there is a problem with the software but has no fix for it. Wait, it is not ready. Right now we are not solving any problems but rather creating more. No benefits realized yet. Under no circumstances would we ever want you to feel that you had to figure it out on your own. We have specifically assigned a Client Success Manager to each TOPS ONE client to help insure a smooth transition process. Part of their job is to help you with your templates and reports to get your outputs exactly the way you need. It sounds like you could do with a consultation with your success manager. Please call us at 1-800-760-9966 or email our Director of Client Success directly at andream@topssoft.com. "The program is very easy to use." The Support Team responds quickly and is very helpful , at times even going above and beyond. I am old school and still long for the days of being able to pick up the phone and have my questions answered. But their support button is helpful and my questions or requests are followed up quickly! The HOA I manage was not using any software for their community. I viewed 3 other software companies and felt this was a good fit. So glad you've found TOPS [ONE] easy to use. When our team hears feedback like this, they carry a big smile on their face all day! Hey Desirae! We got you. Thanks for the awesome review. May the Force (of TOPS ONE) be with you! "Tops is the BEST softweare"
I dont have one, except I like to see general journals how effect General ledger before posting. Its not available right now. Easy to use, we provide client services and we are able to assist our clients from ANYWHERE!!! You cant edit documents I save on TOPS. If I need to edit a template i have to make a new one then import. It covers the organization part of the business. Anything I need to help run the business it covers. I like that it is user friendly and can hold documents. When you place a request for tickets, it takes a while to process them. I think it is highly user friendly and I love the file sharing aspect. Documents can be cloud based for residents to get at their convenience. Easy to manage multiple accounts at one time. * We monitor all TOPS [ONE] reviews to prevent fraudulent reviews and keep review quality high. We do not post reviews by company employees or direct competitors. Validated reviews require the user to submit a screenshot of the product containing their user ID, in order to verify a user is an actual user of the product. Hi there! Are you looking to implement a solution like TOPS [ONE]?